The insulin requirements of a child who sits in class all day can decrease when the child is playing all day on vacation. Increased activities and less stress can lead to a lower insulin requirement (stress can raise blood sugar levels). In addition, sometimes a lack of appetite due to heat can also be a factor for some children to have hypoglycemia (glucose levels in blood are below normal) on the first vacation days, until their insulin dose is adjusted. It could be frustrating that the effect of excess glucose requirement of the cells after exercise, last for several hours after completing the exercise. This delayed effect can last from twelve to twenty four hours after exercise, and make hypoglycemia more common at night or the following day, after a day of lots of exercise. Therefore it is recommended to check glucose levels up to 24 hours after intense or prolonged exercise. If your child has experienced hypoglycemia at the beginning of previous holidays, you may want to consider decreasing your child’s insulin dose immediately, but first you should talk to your doctor before making any adjustments. When children exercise their bodies generally require more food to counteract the calories burned. Allow your child to meet that natural need, provided they are within their normal weight. Provide your child with frequent and substantial meals to balance the hypoglycemic effects of exercise. Offer them snacks in thirty minute intervals while performing strenuous exercise such as football. Snacks that include protein or fat such as cheese, in addition to the usual starch source, help maintain an acceptable glycemia level. If your child is overweight, ask your doctor about the possibility of reducing their insulin dose so they won’t need to eat more to counter the hypoglycemic effect of exercise. Less insulin means requiring less food to balance its effects, and less food makes it easier to control your child’s body weight. If exercise is very strong and prolonged, both strategies, i.e. reducing the insulin dose and increasing food, may be necessary. 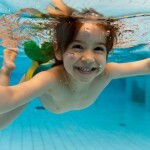 Swimming is a special situation, as instructors recommend not eating solid foods before swimming. However, a meal an hour before entering the water, followed by twenty to thirty minute breaks to drink some juice, get some glucose tablets or carbohydrate drink such as “Gatorade”, can balance the glucose lost during swimming. 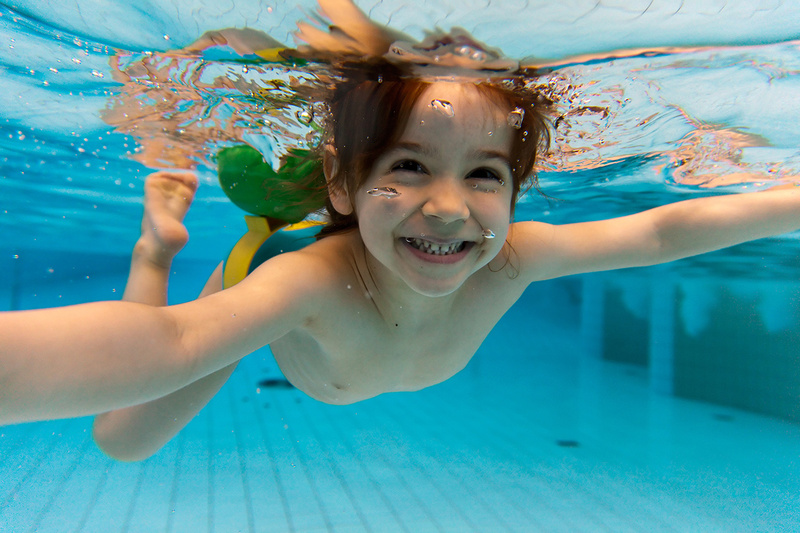 In some cases, reducing insulin doses can be the best way to avoid hypoglycemic episodes in the pool. In any case, ask your doctor for advice on this matter. 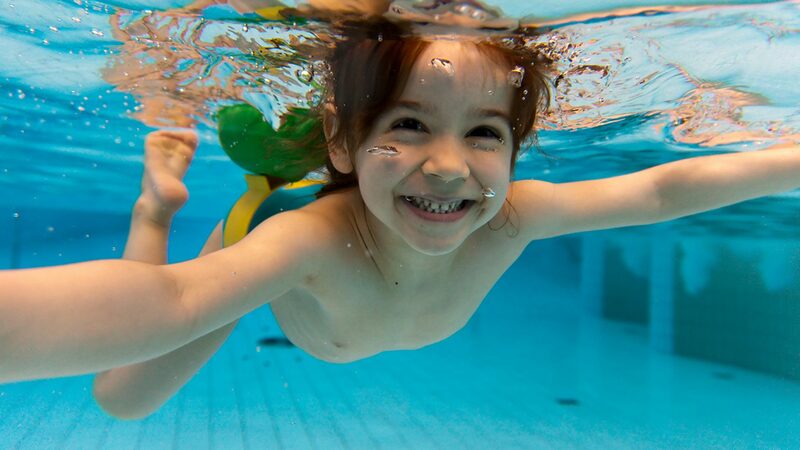 A child who’s active at the beach or anywhere where children do a lot of activity can be very problematic if you can’t control them enough to make sure they have their meals at the appropriate times. Make sure to pack enough healthy food. It is also advisable to carry a bottle with enough regular soda drink (with sugar for hypoglycemia) and sandwiches. In days of very strenuous exercise, check your child’s blood sugar level, before they go to sleep and possibly during the night. A midnight checking is a good idea, even if your child has had a good snack or had a reasonably high glycemia level before sleep. If their blood sugar level is less than 100 mg/dl during the night, you’ll need to give them some juice and cookies to avoid hypoglycemia. The area where your child injects insulin, can cause a difference in controlling blood sugar levels. For example, if your child is injected in the thigh, insulin will be more quickly absorbed during a football game. Rotate injection sites, especially in the abdomen, to reduce rapid insulin absorption.